OK, so here we are, the last section on shoulders. So far I’ve have talked about the rotator cuff and shoulder labrum and injuries and/or overuse to this area (What’s happening to our shoulders? , What’s happening to our shoulders? part 2) and What’s happening to our shoulders? (part 3) Stretching, movement and Neuromuscular Therapy are the primary modalities that a patient needs to address first, under the care of a Massage Therapist or Health Care Provider. After that Kinesio Tape and light strengthening exercises. 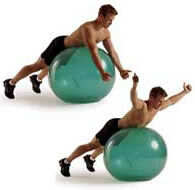 Now we move into the Swiss Ball exercises. 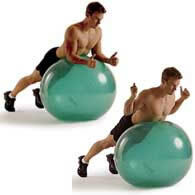 The Swiss Ball is a great and easy piece of equipment to have around the house. It versatility is immense. 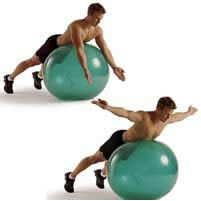 I use the Swiss ball in many exercise programs. With the shoulders you will be able to progress to doing these exercises without weights, and progressing to using light weights as you get stronger. In this way you can keep your shoulders health and strong. Please make sure that before you embark on your strengthening exercise program, you get checked that this is the right stage for you to begin. 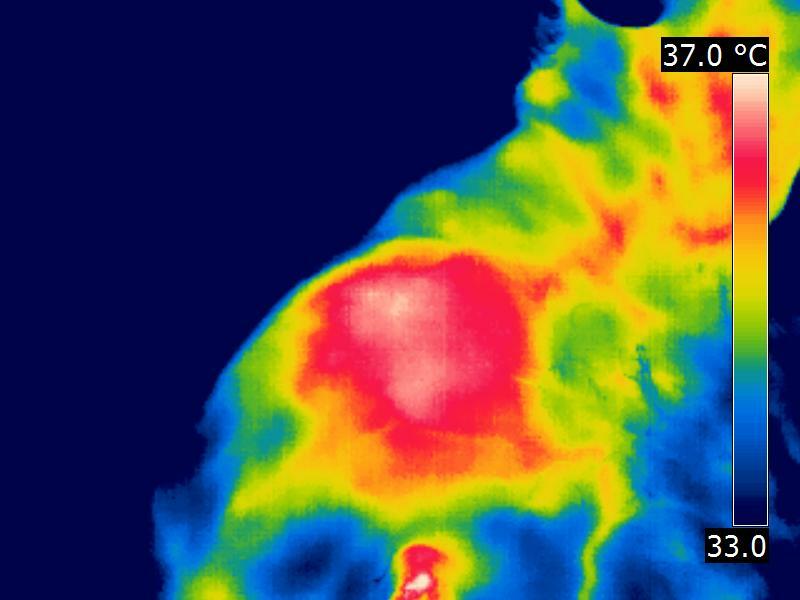 Beginning too early may lead to damaged rotator cuff once again. 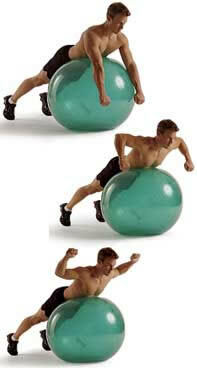 Lie on a Swiss ball with your back flat and your chest off the ball. Your arms should hang down (thumbs forward). Glide your shoulder blades back and down, and lift your arms till you form a Y. Return to the starting position. Same starting position as for the Y, but bend your arms and squeeze your elbows in toward your ribs. Rotate your arms toward the ceiling, squeezing your shoulder blades together. Return to the starting position. Same starting position as for the Y, but your palms should face forward. Pull your shoulder blades in toward your spine and extend your arms straight to the sides to create a T with your torso. Return to the starting position. Same starting position as for the Y, except your palms should face behind you. Bend your elbows so that your upper arms create a pair of L’s. Rotate your arms so your palms face the floor. Retrace the pattern to the starting position.